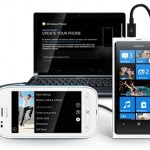 Couple days ago, there was a news that Nokia is ready to rolling out the Windows Phone 7.8 Update for Nokia Lumia 900, 800, 710 and 610 to the customer, but still waiting confirmation from Microsoft to release the update via Zune. Today, the firmware files of Windows Phone 7.8 for Nokia Lumia 900, 800, 710 and 610, especially for Indonesia are now available on Navifirm. If you want to get the Windows Phone 7.8 for Your Nokia Lumia, you can download the firmwares via navifirm and flashing it by yourself using Nokia Care Suite. If you want to update via Zune, you should wait to the official relase (expected this January).